With all the progress we&apos;ve seen in artificial intelligence over the last few years, you could say that machines are getting smarter all the time. Even so, most of the robots in our factories still require a fair amount of preprogramming for them to recognize the objects they handle. That could soon be a thing of the past as researchers at MIT&apos;s Computer Science and Artificial Intelligence Laboratory (CSAIL) have developed a system that allows robots to identify, pick up, and handle objects they haven&apos;t encountered before. The system, which is called kPAM (Keypoint Affordance Manipulation), enables robots to carry out tasks like hanging mugs on a rack or putting shoes on shelves, without having seen the objects before. The study&apos;s senior author, Russ Tedrake, explains that "understanding just a little bit more about the object — the location of a few key points — is enough to enable a wide range of useful manipulation tasks." 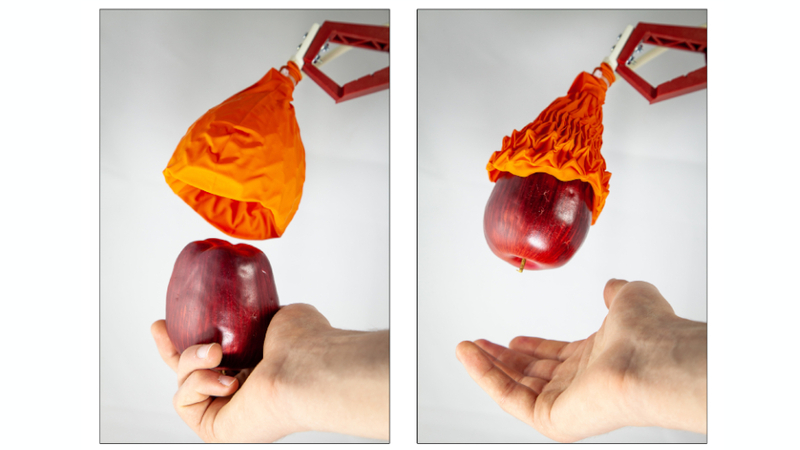 Researchers at the same laboratory created this robot hand recently. The Robot Report says that "the team next hopes to get the system to be able to perform tasks with even greater generalizability, like unloading the dishwasher or wiping down the counters of a kitchen." While kitchen-cleaning robots sounds like an attractive proposition, the technology developed in this study could have a huge impact on factory machines, reducing the need for pre-programming, and making the manufacturing process more efficient. Still, the technology is still in its early stages, so we aren&apos;t likely to see kPAM integrated into factory machines for a few years at least.